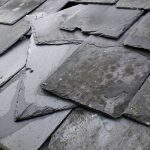 If you’ve read one of our most recent articles then you’ll be well aware of just how serious a roof leak can be – as well as seemingly cropping up at the worst time possible, they can also cost a lot of money in repairs. While last time we focused on what to do if you discover one, today we’re outlining some potential implications of water damage. When a roof isn’t properly sealed, all kinds of things can make their way inside. Insect and rodent infestations are a particular problem in this case – both lead to health and safety fears, which should be a major cause for concern if the leak is coming from a domestic or commercial building not to mention huge damage to electrics rodents cause by chewing at cables. By causing rot, leaks have the ability to weaken the structure of any Leeds-based home. In the worst case scenario this could even result in roofs and/or ceilings collapsing. It may sound a tad far fetched, but roof leaks have caused fires in the past. 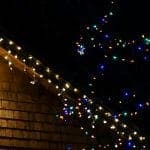 If you take into account the amount of technology present in almost all households nowadays then this perhaps isn’t so surprising – water and electrical wires certainly aren’t the best of friends. If you are based in the Leeds area and need a roof leak locating and fixing, why not get in touch with one of our local team today? With well over 26 years’ experience in dealing with such issues, our engineers are fully trained and qualified to do the job that they do, and are committed to providing the very best roofing service possible.